and many years of experience of a competent brewmaster. All these subjects are elements of the services of BrewConTec. If you choose the right brewing equipment and the right brewing technology it is the first step to get a fresh beer on high quality standard. Modern technology and traditional brewing recipes are absolutely not inconsistent. By cooperations with innovativ manufacturers and suppliers of brewing systems we are able to offer individual solutions for your brewery project. If pub brewery or industrial brewery - you will get an offer that consists of innovative engineering, tradition and best costs at the same time. We are also able to offer complete used plants or components to expand your existing brewery. Let us know what you are exactly looking for. Upon request we take care of dismantling, transport and new installation. If you have any vision of a new brewery and craft brewed beer. Let´s talk about it. 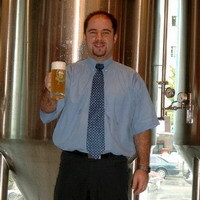 More than 30 years experience in brewing business will help you to realize your vision. I will advise you to select the right equipment. Starting from installation the equipment, start-up the brewery up to training of your local staff I am available to satisfy you. 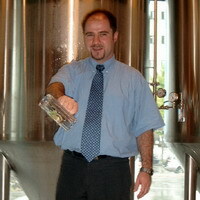 It will be an exciting moment for you to start the first brew and you will enjoy drinking your first self brewed beer. 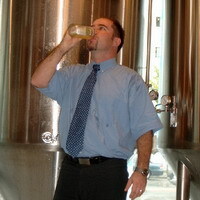 After this time you can also contact me for further consulting services during operation your own brewery. There is no subject we should not talk about. the typical taste and flavour.That´s why german brewing tradition enjoys the best reputation worldwide.